A rendering of park land near the San Diego River, included in the SDSU Mission Valley site plan. Photo courtesy of SDSU Newscenter. A lawsuit against the SDSU West initiative was rejected Friday by a judge in San Diego Superior Court, clearing the way for the initiative to compete against SoccerCity on the November ballot. The lawsuit was filed in April by supporters of the SoccerCity initiative who raised concern about the use of the San Diego State name in the SDSU West campaign. The California Education Code forbids the use of the university’s name as a part of a political campaign, something the backers of the lawsuit believed made the name of the SDSU West campaign both unlawful and deceiving to voters. Judge Joel Wohlfeil didn’t agree with that assertion, ruling that the use of the university name by both the initiative and Friends of SDSU, the organization supporting it, was both “legal and appropriate,” according to a press release. ‘“Friends of’ means just what it says: supporters and boosters of the University, not the University,” Judge Joel Wohlfeil said in the court ruling. As for the name “SDSU West,” Wohlfeil said the language of the initiative that communicates the intent to later sell the property to SDSU for development makes it clear that the initiative is not formally backed by the university. Wohlfeil also said a statement by SDSU President Sally Roush explaining that university fully intended on developing the property within the lines set out by the initiative ensures that voters are not being misled. Friends of SDSU members were quick to declare victory in a press release Friday. “Today’s decision makes it clear that the frivolous FS Investors-backed lawsuit lacked any merit in its allegations, because SDSU West fully complies with California State Law, San Diego City Charter and the California Education Code,” said Bill Hammett, a member of the Friends of SDSU steering committee. Supporters of the SoccerCity initiative said in an email statement they plan to appeal the court’s decision. 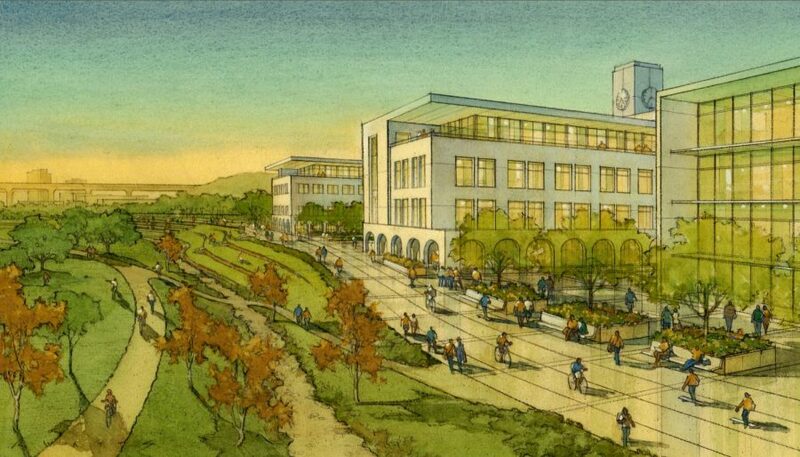 An earlier version of this story incorrectly said the featured image was included in plans for SDSU West. The Daily Aztec regrets this error.